With the summer season finally upon us, drivers need to be more aware of the weather while driving. Summer means storms, whether we plan on them or not. Even worse, we are also now in hurricane season. While ultimately driving through any type of storm is not advised, if it isn’t avoidable, there are ways to stay safe while doing so. Check the weather forecast for your future route. This will give you an idea of what you can expect during your drive. Check your vehicle before leaving for your destination. This includes having a full tank of gas, air in your tires, and working windshield wipers. Be aware of your surroundings while driving, especially if it begins to rain. 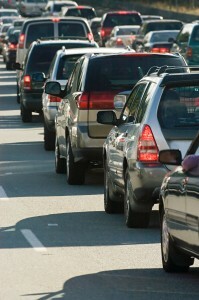 Be observant of surrounding cars and any power lines that could potentially fall near you. Avoid standing water while driving. While it may seem shallow enough to drive through, there is no way to judge how deep it really is. 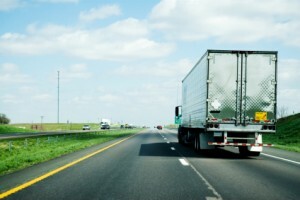 Heavy winds can cause a huge threat to tractor trailers because of their large stature. If winds begin to pick up while you are en route to your destination, pull over to avoid tipping over in the high winds. When the storm has passed while you are driving, avoid using cruise control. Cruise control could cause acceleration while your vehicle begins to hydroplane. At Evan Transportation, our drivers have years of trucking and driving experience, allowing them to be safe during summer storms this season. Our drivers are well trained in dealing with weather situations that come with every season and know how to stay safe when conditions worsen on the roads. Evan Transportation has been serving the Mid-Atlantic region in all of their freight transportation needs since 1992. With over 600 trailers in our fleet, Evan Transportation is able to provide safe, quick, and efficient transportation to 6 states along the east coast. To get started with Evan Transportation, call us today at 443.673.3365 or click here for our contact page. Follow Evan Transportation today on Pinterest, Google+, LinkedIn, Facebook, and Twitter. The truck driver responsible for the Saturday accident that has left one dead and four injured has plead not guilty to being sleep deprived along with his charges of assault by auto and vehicular homicide. Kevin Roper, the 35 year old Walmart truck driver, is accused of going 24 hours without sleep when he hit the limo bus carrying comedian Tracy Morgan on the New Jersey Turnpike. According to authorities, although he made an attempt to swerve, Roper failed to notice the stopped traffic and hit the bus. The bus was bringing the comedians home from a show. Comedian and good friend of Morgan’s James McNair was killed in the accident and comedians Harris Stanton, Ardie Fuqua, and Jeffrey Millea were injured. At this time, only Stanton has been released from the hospital. Morgan is still in critical condition, but is expected to recover. Wal-Mart has yet to release the route Roper was taking and claims that he was operating within the federal law that states truck drivers can only work for up to 14 hours, with 11 of those hours spent driving. Under New Jersey law, a driver can be convicted if sleep deprivation is proven. According to legal analyst Paul Callan, the Jersey law was created because of how heavily the major roadways are used, so going 24 hours without sleep is considered reckless and punishable. He also says that while proof of sleep deprivation is needed for a conviction, proving that Roper was operating on 24 hours without sleep will be difficult. Roper was released on bail posted at $50,000 the same night as the accident and was advised by his judge in Middlesex County during his arraignment that if he travels or drives anywhere, his lawyer should be knowledgeable of the activity. At Evan Transportation, we take the safety of the public and our drivers seriously. Our employees and drivers have years of past trucking and transportation experience and know are trained to provide efficient, yet safe service. When you choose Evan Transportation, you can be rest assured that your freight will be delivered on time and safely. We have been serving the Mid-Atlantic area for over 20 years and continue to watch our business grow as we provide excellent customer service and safe, reliable transportation. Need freight transported? Call Evan Transportation today at 443.673.3365 or click here. You can also follow Evan Transportation on Facebook, Twitter, Pinterest, Google+, and LinkedIn, so find us today! 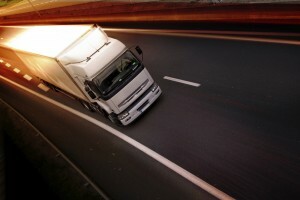 Your freight company should deliver your shipment in a timely manner. The delivery should arrive by the given time and in the correct delivery address. Cheaper isn’t always better. 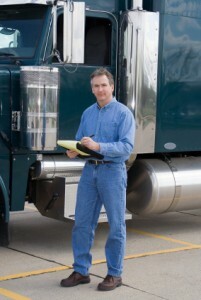 Rates given by the freight company don’t necessarily have to be the lowest, but the most reasonable. Rates should be competitive and should ensure high quality service and the ability to handle emergency situations should they arise. While your delivery should arrive on time, you should also receive a response from an office quickly. When you have questions about procedures or any concerns with your service, you shouldn’t have to wait for a response from office personnel. You should be able to trust your driver when they are transporting your shipment. Problems happen and when they do, your driver should be upfront with you instead of sidestepping the issue. Your questions should always be answered without hesitation. When you hear these four characteristics, you are hearing four main focuses of Evan Transportation. For over 20 years Evan Transportation has been providing excellent customer service within the freight and transportation industry and has worked to develop long term working relationships with our customers. Our drivers and staff have up to 25 years and over of trucking experience and pride themselves on their service. At Evan Transportation we provide freight services for several states such as Maryland, Delaware, and New Jersey and will transport various products such as general freight, food products, and steel. We also offer A-1 Trailer and Container services. Need product transported? Call Evan Transportation today by calling 443.673.3365 or by clicking here! You can also follow Evan Transportation today on Facebook, Twitter, Pinterest, LinkedIn, and Google+!